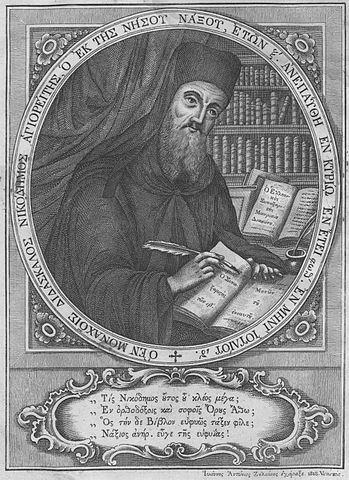 Nicodemus the Hagiorite was an ascetic monk, mystic, theologian, and philosopher. His life's work was a revival of traditional Christian practices and patristic literature. He wrote ascetic prayer literature and influenced the rediscovery of Hesychasm, a method of contemplative prayer from the Byzantine period. He is most famous for his work with St. Macarius of Corinth on the anthology of monastic spiritual writings known as The Philokalia. St Gregory Palamas, On Unceasing Prayer. From The Life of St. Gregory Palamas by St. Nikodemos of the Holy Mountain.